Writing often strips us down, revealing our flaws, our neuroses, our tragedies. We all face a moment with each stroke of the pen, when the possibility exists to push deeper, to open the wounds, to explore the dark places. How much of our own angst to share through our work is truly a very personal decision. The wonderful thing about writing is that we can tell a bit, a chunk, the whole truth in the voices of our characters. In Eve’s Garden, the secondary character of Tally, Eve’s aunt, was my way to explore the ways that family allows us sometimes to get away with minor deceits and manipulations, and the frothy self-interest some women get away with. Tally is loved precisely because she never goes too far, and at the same time generally is exactly as conniving and selfish as most of us would like to be. But she could never be the central character because she will never change enough to interest us; she doesn’t want to. Eve’s mother, Maisie, on the other hand, meets every challenge, every anguish, every hostility, with clear-eyed courage. Tally can only be her charming, self-centered self because Maisie keeps her safe. They both know this; Tally responds by being devoted and obedient only to her protective sister, and Maisie responds with a fond, detached love for her silly youngest sister. I’m now trying to write a short story about a young woman at the exact moment she decides to leave her family behind because they weigh her down and she knows they do not want to be saved from their sad, comfortable rut. In writing our stories, we must explore not only our main characters, but the ties that bind them to secondary characters who reveal their underpinnings, their origins. We can explore the main character’s boundaries by showing who they chose not to become. 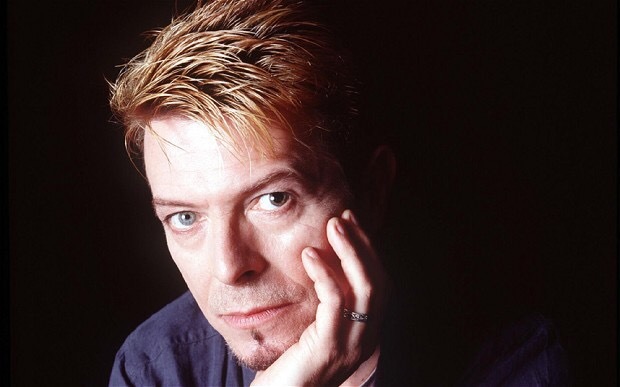 There are so many wonderful images of David Bowie floating in the webisphere today, as well as a few reports of sexual abuses that were never tried or proved. Those reports give me pause, because I tend to believe women who risk public censure to report the abuses of famous men. However, Mr. Bowie has admitted his past includes incidents that shamed him later, some of which he could barely remember. Rule breakers like Mr. Bowie often go too far and hurt others. I am sorry for the women who will never have closure, while noting that they also never brought charges against him, making closure impossible. I wish some had not chosen the week of his death, when he could not answer to anyone, to add their dark notes to the worldwide praise for his talent and his admirable conduct in his later years. The images that I prefer of that extraordinary star are the ones that show us the stripped-down face of a man who met his demons and bested them. Like Tally, David Bowie knew his own imperfections. Unlike Tally, he may sometimes have gone too far. Where the line is drawn tells us everything about character. What depths are you exploring with your characters today? Write With Me! Study Hall, January 4, 2016: It’s the New Year, So. . .